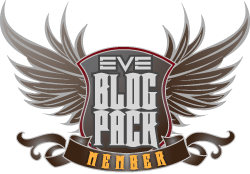 Thanks to Petur (CCP Xhagen) for his quick efforts to help make this into a reality. As it turns out, the first day of Fanfest, Thursday April 25th, is a bank holiday so a lot of things will be closed in Reykjavik. Mjolnir included. Except for the fact they are going to open up for us. CCP Xhagen will be there. I will be there. I need at least a group of ten to make this happen. Signup below. Show up. If not, Petur and I have three days to hunt you down. COST: Not sure. Bring some money. This is going to be a world of hurt unlike anything we’ve seen and it will be awesome fun, something we can talk about all Fanfest long. I look forward to seeing you there. Damn. Yet another thing I’ll miss not being there for. I’m down. Hopefully I win and get the hammer. Well, that’s only 5, including me. Please get your friends attending Fanfest to signup. I want this to happen. Hard to believe we haven’t gotten ten people already. I’m in. I may have to take the role of the token scrawny geek though. …and if we don’t get ten people together, we go for a beer, and arm wrestle? We’ll drink and arm wrestle either way. I’m a little confused and very new to the fanfest experience. It’s the first day of FF, so wont we be missing things happening at the Harpa? It’s during lunch hour so hopefully no. Besides, the best stuff is final day. Ok, count me in, tentatively. I’m still waiting to learn more about the fanfest itinerary but unless CCP run an exotic dancer lunchtime buffet I’m certainly not going to miss out on a proper Roc workout. Awesome. We have our quota. Now anyone else is just bonus. If this doesn’t kill me, it’s going to be epic! Giant tires, sledgehammers, heavy bags to haul around … yeah, I agree with you completely. So, crazy add-on to this. Johnson & Johnson NY saw my CNN article. They’re doing a Healthy Living piece this Spring. They’re coming to my work tomorrow to interview coworkers, see what others think about my efforts and initiatives … AND they’re coming to workout with us, interview any of you interested, and basically enjoy a day of Fanfest (and Roc Wieler) care of CCP. Sometimes I’m floored by all of this. Roc Wieler, daring to be mighty (and winning!). What a cool turn of events. The best part of adventure is its randomness. I never even thought about the camera adding 10 pounds … oh man. Just thinking about it makes me tense my stomach. Going to have to coordinate my gym wardrobe.. what was it, vertical stripes make you look thinner?? And the award for healthiest attitude goes to ubentobox, appropriately named. There is a pvp tournament at fanfest and we kind of want to defend our win from the last time our corp visited Fanfest and this is right in the middle of it. How possible is a late entrance to it? Depends how well you do in the PvP tournament. Chances are, by the time you arrive, get changed, warm up and join in, we’d be close to finishing if you’re more than 15 minutes late. While I hope you’ll be there, I do understand we’re all there for EVE and that comes first. Either way, at least drop by and say hi. I’m just making last minute preps before I leave for Iceland and I want be extra sure I’m not missing anything important for the Ro-xercise. No shoes is correct. I’ll see you there.